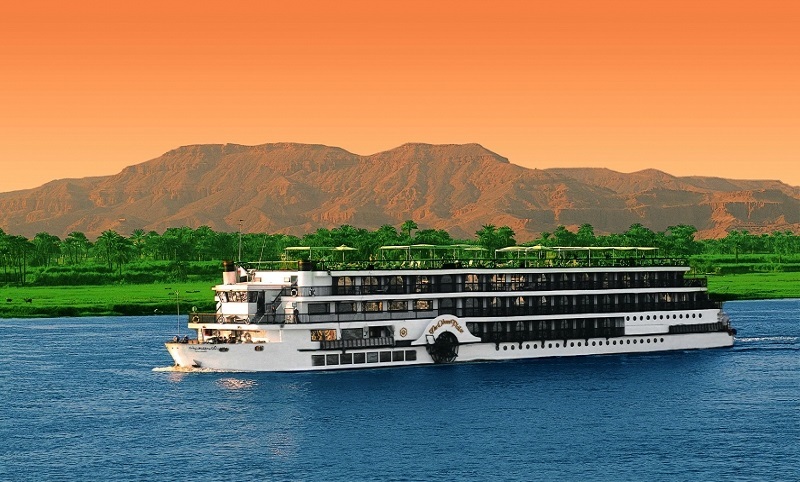 Cruise the Nile River from Luxor to Aswan or from Aswan to Luxor on board of 5 Star deluxe Nile Cruise. Enjoy the warm sun and the blue sky as you sail along the Nile on MS Semiramis III 5 Stars Nile Cruise with excellent service and comfort. It is an escape to the tranquility of relaxing under the sun, visit temples of the Pharaohs and enjoy freshly prepared traditional cuisine. 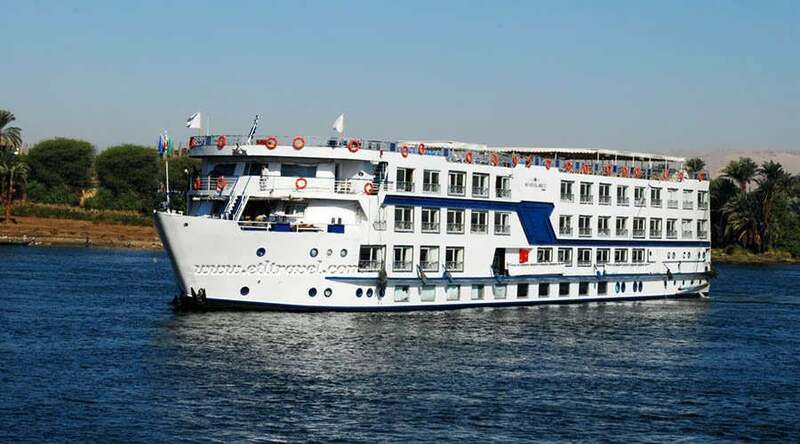 M/S Semiramis III Nile Cruise offers 66 cabins (20 m² each) & 2 Junior suites (40 m² each) with most luxury facilities founded in the floating hotels, the ship has 5 decks. The Nile cruiser has a 24 hours working reception area with safe boxes, bell captain, multilingual staff, doctor and a luggage room. 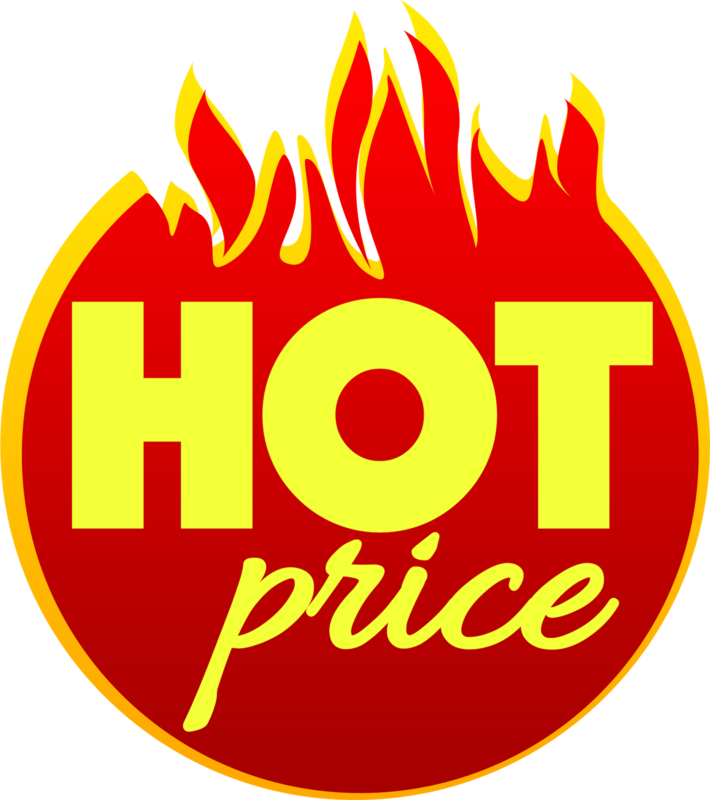 A boutique, a souvenir shop, a jeweler and a mini market will give you the chance for shopping at the Nile.